As a testament to its growing reputation for generating great value on investment for exhibitors, last year, 42 per cent of exhibitors generated business value between $100,000 to $500,000 while 18 percent generated business value between $500,000 to $1 million and 3 percent even generated business worth more than $1 million. “The Global Franchise Market Conference and Exhibition - TGFM 2018 comes at a time when the Franchise market in the UAE is set to grow immensely owing to a series of business-friendly policies and regulations implemented by the UAE leadership as well as UAE’s strong economic growth, high purchasing power among consumers, consumption patterns, and the increasing penetration of international franchise brands. Franchising has developed extensively in the UAE over a short time, especially in the Food and Beverage F & B sector, which according to a survey by a global audit firm KPMG, has grown by nearly 4 percent annually, increasing from $11.3 billion in 2014 to reach $13.2 billion this year,” said Anas Al Madani, vice chairman and Group CEO of Index Holding. Jassim Al Bastaki, CEO, Franchise Souq said: “With the growing franchise industry and the increased number of aspiring entrepreneurs and investors, TGFM presents a great medium for franchise brand owners looking to enter the MENA region to meet and connect with franchise partners. “The Global Franchise Market 2018 is set to be the perfect platform for face-face interaction with every type of profile in the franchising industry, whether you’re a business owner, investor, service provider or employee; we are confident it will be a memorable and valuable experience from the moment you sign up to attend. TGFM is an excellent opportunity where you can expand the know-how of others to propel your business into a successful future in franchising!” he added. 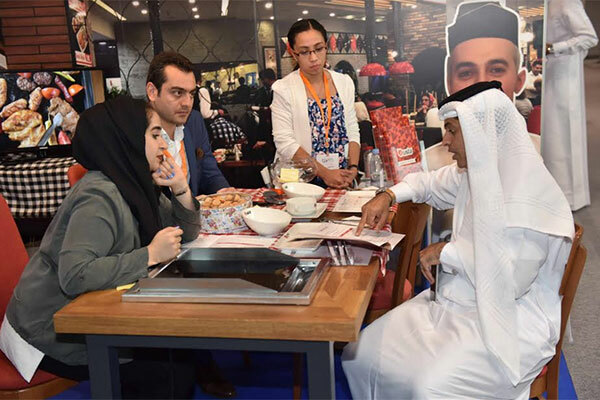 According to the Dubai Chamber of Commerce and Industry, F & B continues to dominate the franchise market in the region and the industry was the second largest spending category for UAE consumers, totalling $24.8 billion last year. In addition, fast food is expected to account for 40 percent of the franchising market and industry experts expect the region’s F & B franchisees to grow by more than 25 percent in the coming years and maintain their dominance over other sectors like education and healthcare services. Jelly Belly Ice Cream (Gold Sponsor),and the region’s first locally made gourmet ice-cream produced in the heart of Dubai in an exclusive state-of-the-art manufacturing facility; in addition to Mary Brown’s Chicken & Taters, Reis &Irvy’s, The Future of Frozen Yogurt, Delifrance, AlmayassLebanese – Armenian Cuisine, Bouza Roll, Fishface, Munch Bakery, Meito Café Lounge & Bubble Tea, Under500 and ChicKing. The exhibition will also witness the participation of Francorp Middle East (Platinum Sponsor and Strategic Partner) among others.